Coronary artery disease is a type of ailment that involves the narrowing of coronary arteries. It frequently leads to additional complications like myocardial infarction, angina and heart failure. A new study shows that following a Mediterranean diet and consuming olive oil on a regular basis can help to protect the body against CAD. 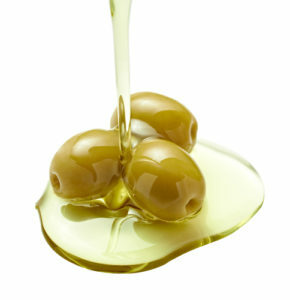 While olive oil has long been connected with preventing cardiovascular disease, this is among the first studies linking it specifically to protection against CAD. The study was published in Public Health Nutrition and revealed that even after accounting for a person adhering to the Mediterranean diet, an exclusive consumption of olive oil was associated with 37 percent lower chance of developing coronary artery disease in the future. The study (The Hellenic study of Interactions between Single Nucleotide Polymorphisms and Eating in Atherosclerosis Susceptibility, aka THISEAS) was conducted between 2006 and 2010, and involved 1,221 participants with coronary artery disease and 1,344 controls. Case patients had acute coronary syndrome or CAD with greater than 50 percent stenosis in at least one of their main coronary blood vessels. Experts believe the 37 percent lower chance of developing CAD was thought to be brought on by changes in oxidative stress, inflammation, lipid profile and lipid peroxidation. Olive oil is well known for its anti-inflammatory and anti-oxidative properties, so having regular amounts of it (at least two tablespoons per day) would absolutely contribute to these results. There is still more research needed in this field, but the initial findings of this survey are certainly promising. There is already a wealth of evidence showing the benefits olive oil has on the circulatory system. This would be one more disease that could be somewhat mitigated by regular olive oil ingestion. Our extra virgin olive oil from My Olive Tree is made with the highest standards of taste and purity, and is extremely healthy to boot. For more information or to place an order, contact us today at My Olive Tree.